It may be getting warmer, but the skiing and riding is still great! 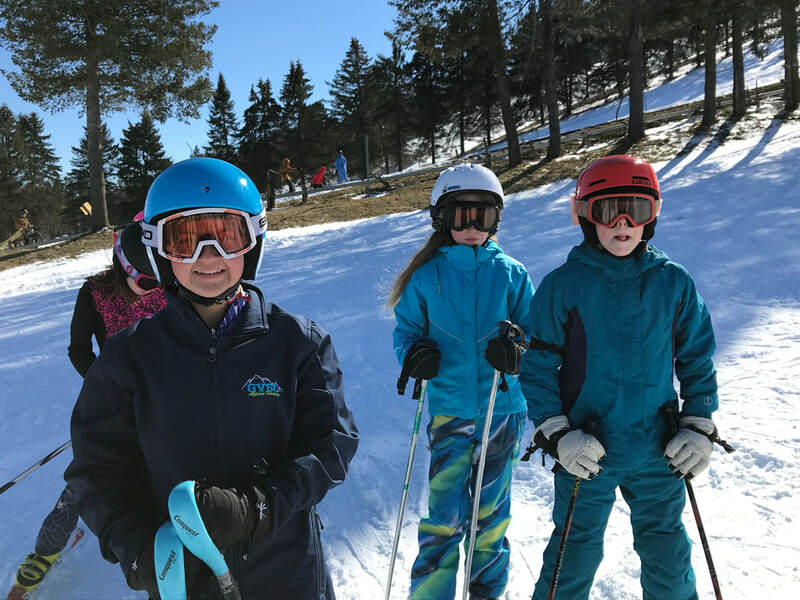 The spring camp is open to skiers or boarders of any ability level (including first timers and racers), ages 6-18. Register for our 3 day Ski/SB camp or our 3 day Race Camp. Parents and other family are invited on the last day to watch the end of camp race with awards. Students will spend the majority of their day on the hill with their instructor/coach with breaks as needed for warming up, snacking and lunch. Race camp will primarily focus on slalom training. Campers will receive a lift ticket (valid until 5 PM) for each day of camp, all day instruction/coaching and rental equipment, if needed. Pre-registration is strongly suggested to ensure desired student to instructor ratios.